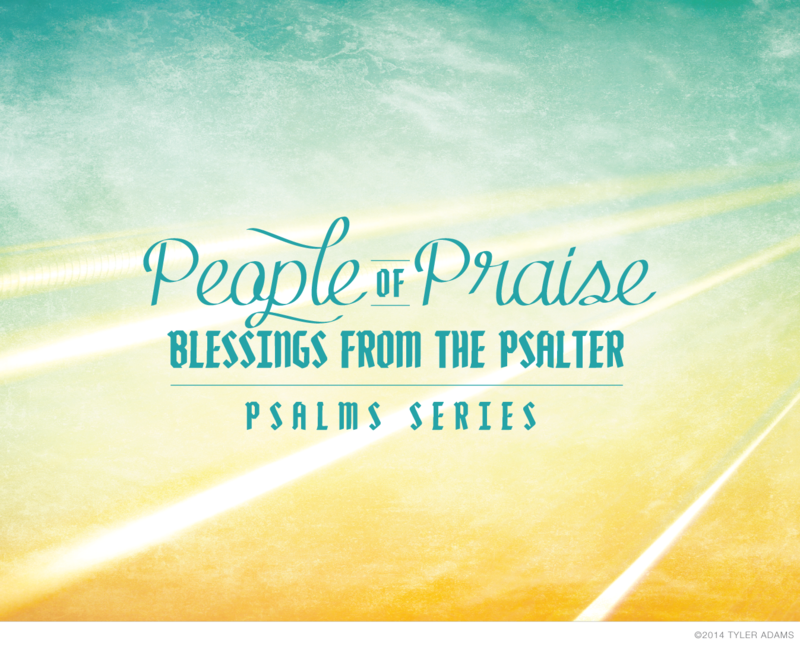 The current series at GHCC is on the book of Psalms, titled People of Praise: Blessings from the Psalter. The book of Psalms is so huge and has so many themes and subjects. That, along with the fact that the title of the series is a bit longer, made me want to keep the image simple. I really like and appreciate the musical aspect of Psalms. I decided to use an image of guitar strings and overlay it on a sky image. It creates a kind of jet stream effect that I thought made a nice texture for the title to rest on. The blue and orange colors I thought represented both the calm and the violent themes in the collection of Psalms. It has the music represented, the nature and wonder represented, and the range of calm and active themes represented. The type I chose and designed to look musical. The "People of Praise" type is flowing and beautiful. 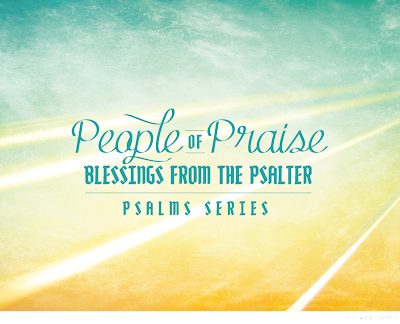 The calligraphy type is to represent the words being handwritten by the authors of the Psalms. The horizontal lines throughout the title bring to mind a music sheet. This is a series that will go on for a while, and the simple, yet deep meanings behind the imagery and type will allow it to be used for a long time.